Mini moisture – Skin feeling dry when on the go and you don’t have your moisturizer with you? Apply the Luxury Lip Balm V2 on areas that need some TLC for extra nourishment. Lipstick primer – Ensure lipsticks glide over your lips by first applying a layer of the Luxury Lip Balm V2. As some of you may know, our very first Henné product was the Luxury Lip Balm which still has a bit of a cult following to this day. 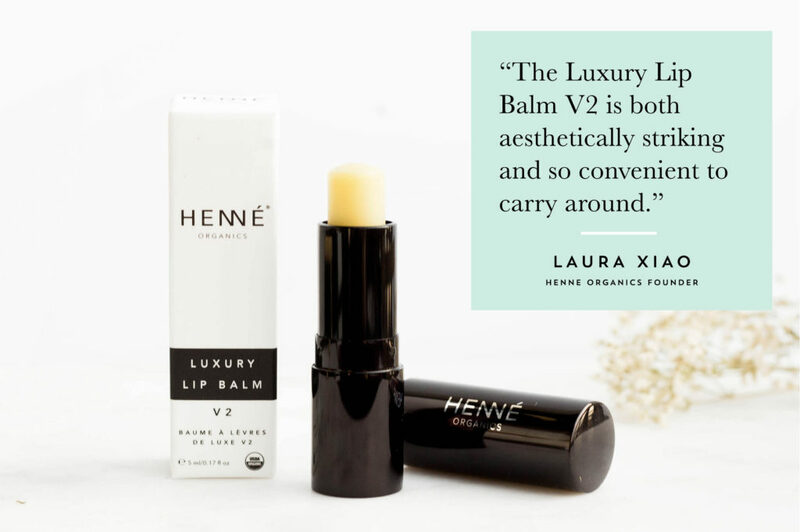 After tons of request for a daytime on-the-go version, we launched the Luxury Lip Balm V2 in 2016. ​It has the same ingredients as the original lip balm but with different ratios and a different production method to give it the stick form. Beautifully encased in a minimalist metal tube, the Luxury Lip Balm V2 is both aesthetically striking and also convenient to carry around. There are no essential oils in this formula so it’s great for sensitive lips.